Located in Blacklion, Blacklion Holiday Homes provides accommodation with free WiFi. The accommodation comes with a flat-screen TV and a private bathroom with shower while the kitchen features an oven, a microwave and a toaster. A fridge and kettle are also provided. Sligo is 48 km from the holiday home. 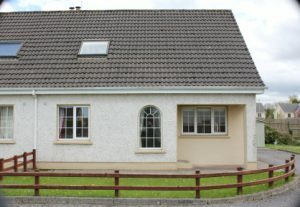 The nearest airport is Ireland West Knock Airport, 102 km from the property.